Discover upcoming local events and outdoor activities in your city and nearby places. Get a personalized event recommendation. 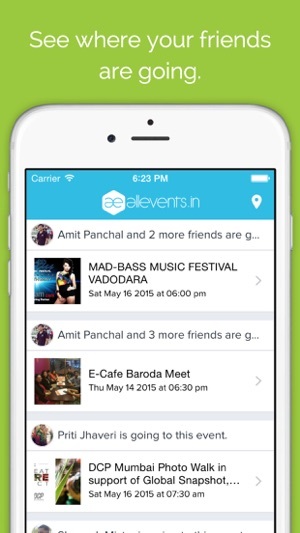 Find events your friends are attending and follow them to stay updated on their activities. Every day find some new things to do near you be it a yoga workshop, free art classes, business seminar or a live music concert. Allevents.in has the largest collection of events and happenings; with 250 million events across more than 30,000 cities reaching out to more than 40 million people. Explore events by your interests including sports, parties, meetups, concerts, festivals, workshops, art and theater. 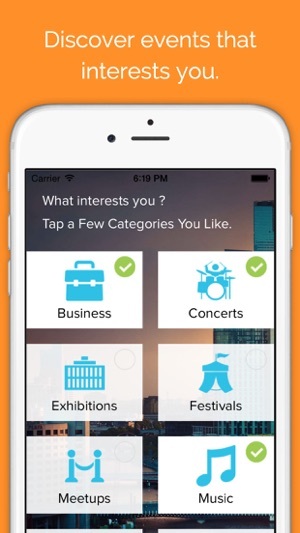 Best app for the eventseeker to explore college/campus events, industry events, tradeshows, lectures, event offers, musicals or uncovered events in bars. 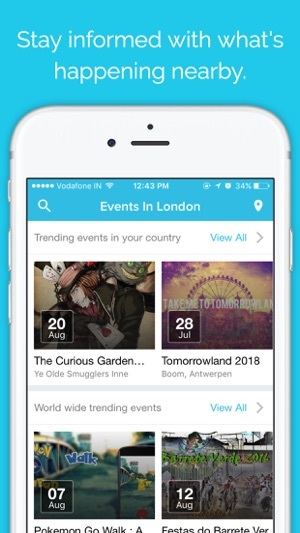 Follow your favorite event organizers and get notified whenever they announce new events. Ever had a question, How do I find events near me? 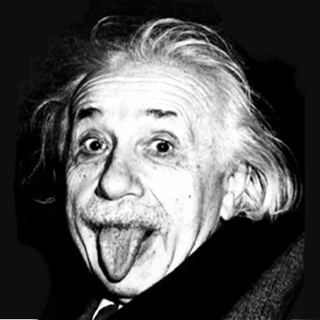 or what are the things to do this weekend? or Where do we go for the party tonight? 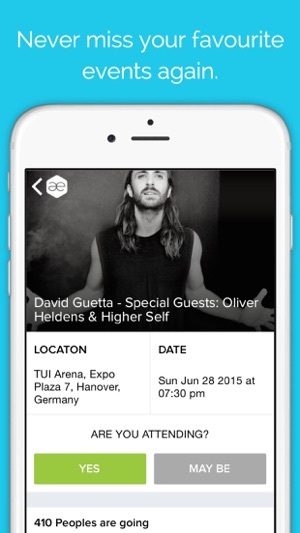 Allevents.in is the answer to finding local events. Whether its local band performing near you, Concert in London, Party in Vegas, a Fashion event in Paris or a Startup event in San Francisco. * No more boring weekends. Get updates via email every week for top things to do in your city and other outdoor activities near you. Explore startup or business events in town or find fun local hangout events and activities in Delhi, Mumbai or Bangalore happening now. It is the best app for event managers/event planners to promote or market their events and to reach more event seekers. New York City, Los Angeles, Houston, Vegas, San Fransisco, Boston, Chicago, Atlanta, London, Singapore, New Delhi, Tokyo, Moscow, Cape Town, Sydney, Karachi, Mumbai, Bangalore and 30,000 more. Even find out vacation events and activities to do this Summer. With the option of add to the calendar, this app becomes your perfect event calendar, listing all the events you are attending in your city/area. • Browse events categorically from various categories like parties, meetups, concerts, seminars, art events, festivals, workshops, conferences, etc. happening in your city with a single tap. • View events by city or by location. Map them on Google. Play with them. Share them. • Seamlessly add events to your Google Calendar. • Filter events by date and/or by categories. • Collaborate with your friends and share and comment on events you plan to visit. • Find events recommended for you. • Keep a track of events you have attended, attending and invited. • Know which events your friends are attending. • Follow your favorite organizers and get updates about their events. • If you are an event planner. You can promote your event. Reach to more people and get your event tickets sold. 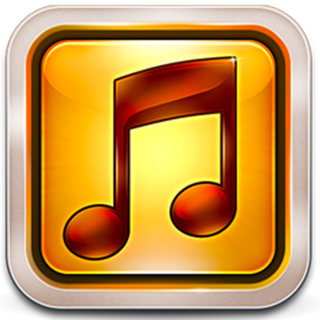 - Music Concerts – Be it rock, jazz, blues or metal, we have it all. - Workshops – Art Workshop, Cooking classes, DIY workshop, Yoga Classes. - Business – Networking, Startup Seminars, Exhibition, Industry meetup. - Dance – Contemporary Dance, Hip Hop Face Off and much more. - Few more categories to explore are theater plays, sports activities, travel and foodies’ meetup, health and wellness, comedy, etc. It is your perfect guide to sailing through the week and plans your weekend. 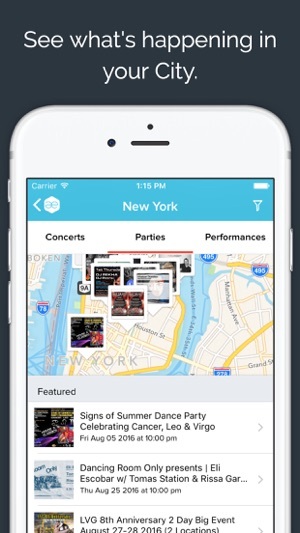 Download “All Events in City” and never miss an event in your area and neighboring cities. A little difficult to maneuver around the app, and wish it knew where I was because I travel for a living and sometimes it’s hard for me to know the exact location. Especially if I’m driving down the road and like what I see. I haven’t actually used any of the suggested things to do yet, because some of it doesn’t pertain to me. Such as: dance class for teens, music lessons, etc..